In his #1 New York Times bestselling book, Zero to One, Peter Thiel presents his often contrarian ideas about competition, progress, technology, and finding value in unexpected placesto build a future that we have yet to dream, but that may someday become reality. In Developing the Developed World he will bring these ideas to life, including his insights on how to create true innovations in the world of atomsnot just digits and bitsand how to foster a peaceful, prosperous and freer future marked by globalization in a world of limited resources. 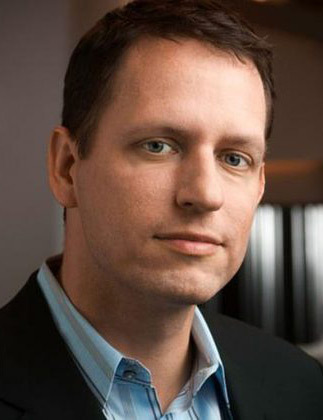 Peter Thiel is Founder and Managing Member of Clarium Capital Management, LLC; Co-Founder of Paypal, Palantir Technologies, Mithril Capital Management, and Valar Ventures; Managing Partner of Founders Fund; and past President of Thiel Capital International and Chairman and Chief Executive Officer of Confinity, Inc. Having been a Research Fellow at the Independent Institute, he is the author of the books, Zero to One: Notes on Startups, Or How to Build the Future (with Blake Masters) and The Diversity Myth: Multiculturalism and Political Intolerance on Campus (with David O. Sacks). Peter Thiel is the legendary entrepreneur, investor, and author of the #1 New York Times bestselling book, Zero to One: Notes on Startups, Or How to Build the Future. He co-founded PayPal in 1998, led it as CEO, and in 2002 sold it to eBay and founded Clarium Capital Management, a global macro fund. In 2004 he made the first outside investment in Facebook, where he serves as a director. The same year he co-founded Palantir Technologies, a software company that harnesses computers to empower human analysts in fields like security and global finance. He has provided early funding for LinkedIn, Yelp, RoboteX, Spotify, and dozens of successful technology startups. He is a co-founder and partner at Founders Fund, a venture capital firm that has funded companies like SpaceX and Airbnb. And in 2012 he co-founded Mithril Capital Management, an international technology investment fund. Mr. Thiel started the Thiel Fellowship, which ignited a national debate by encouraging young people to put learning before schooling, and he leads the Thiel Foundation, which works to advance technological progress and long-term thinking about the future. He graduated Phi Beta Kappa from Stanford University, where he received an A.B. in philosophy and a J.D. from the Stanford University School of Law. He has been a Research Fellow at the Independent Institute, and he is the author of the Institute book, The Diversity Myth: Multiculturalism and Political Intolerance on Campus (with David O. Sacks). He further co-produced the film, Thank You for Smoking, was rated a master by the United States Chess Federation, and received the Innovation Award from The Economist in 2010. Mark Zuckerberg, Founder and CEO, Facebook, Inc.